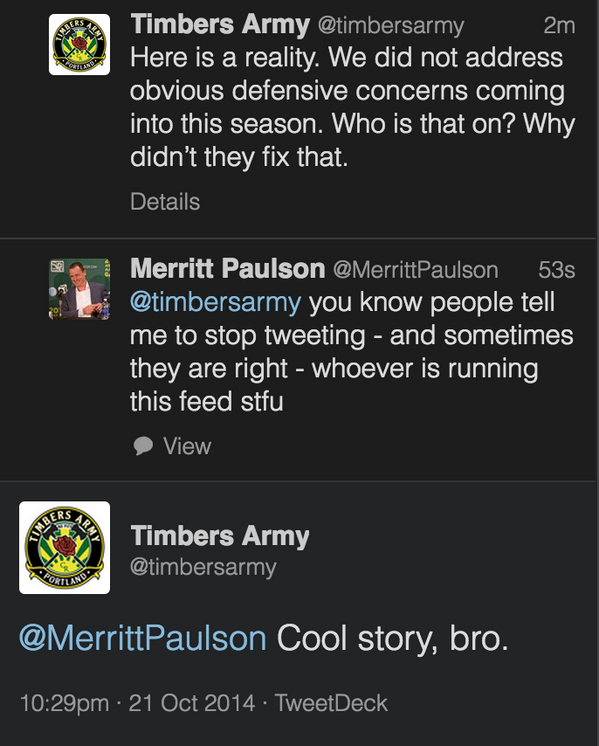 Portland Timbers owner tells Timbers Army "STFU"
Things are not quite so rosy in the City of Roses. 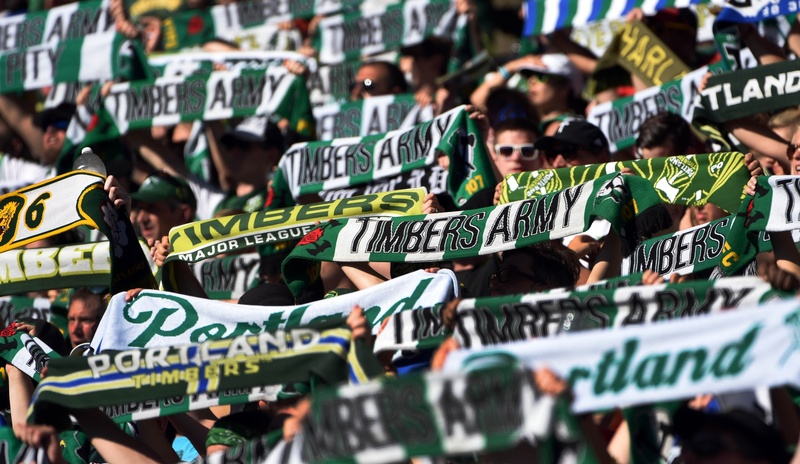 The Portland Timbers have one of the most passionate fanbases in MLS and things boiled over on Twitter after they were defeated on Tuesday night. The 3-1 defeat to Olimpia in Honduras knocked them out of the CONCACAF Champions League on goal differential. With the Timbers on the outside looking in for the MLS Cup Playoffs with the final week of the season approaching, it represents the end of any likely trophy hopes for this season. After the game, the Timbers Army supporters group voiced their frustration on Twitter with the team’s front office and the season as a whole. Priorities are funny. CCL knockout stage was in grasp. MLS playoffs are microscopic. Priorities need to be realistic. Blind faith does not make you the biggest fan. Critical thinking plays a part in everything. Asking questions is not a bad thing. Ironically enough, that very same day The Oregonian published an article saying that the Timbers and Timbers Army had become the “ideal model” for the sports world. It even cited the working relationship between the franchise and the fanbase. Yikes. Plenty of valid criticism and frustration during a season with adversity/setbacks. Thats sports and thats soccer. But to suggest we didnt care about and prioritize CCL is just flat out wrong. Was very much a priority for the club. In a weird way, it’s somewhat refreshing to see both a supporters group and an owner freely speaking their mind in public and not hiding behind faux contentment. The Timbers have one of the best fan cultures in professional sports. That’s why everyone is flocking to Portland to see how they can duplicate it and bring that success and passion to their cities. Both sides should be frustrated with the 2014 campaign, especially after a 2013 season that saw quite a bit of success. Buuuuut… sometimes discretion truly is the better part of valor. If the owner of one of my favorite teams told fellow fans to “STFU” I would question whether or not I really needed to dedicate time, money, and interest in that team. An owner telling his largest supporters group, and one of the most prominent supporters groups in MLS, to “STFU” isn’t a good look and it’s not going to do anything to continue to better the culture in Portland. This takes the whole concept of “fan relations” to a very strange place.